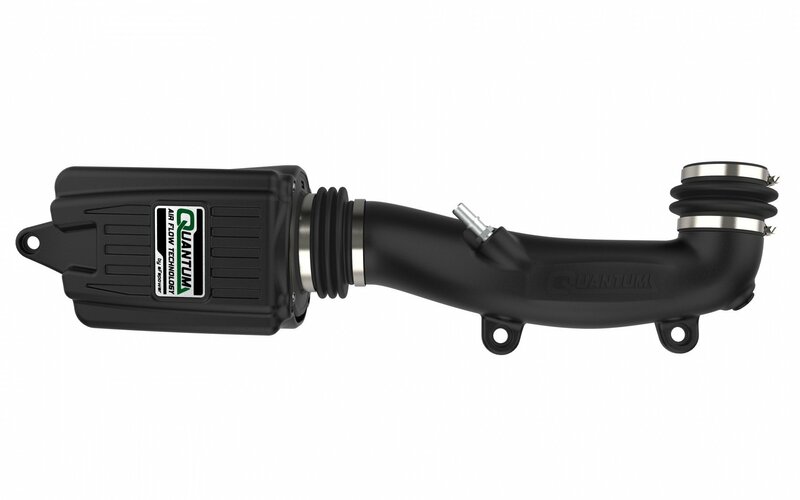 Get more power with the AFE Quantum Pro Cold Air Intake for your Jeep Wrangler JL. Offered in two filter types. 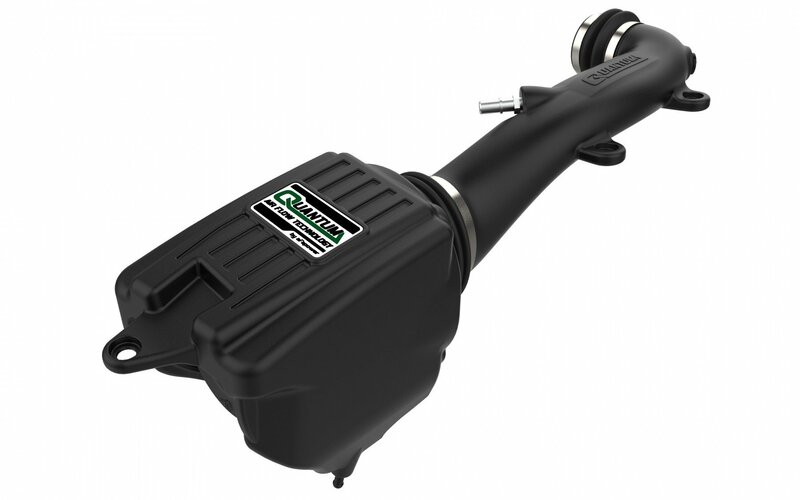 The Oiled Pro 5R filter offers dyno gains of +10 Horsepower and +13 lbs x ft torque. 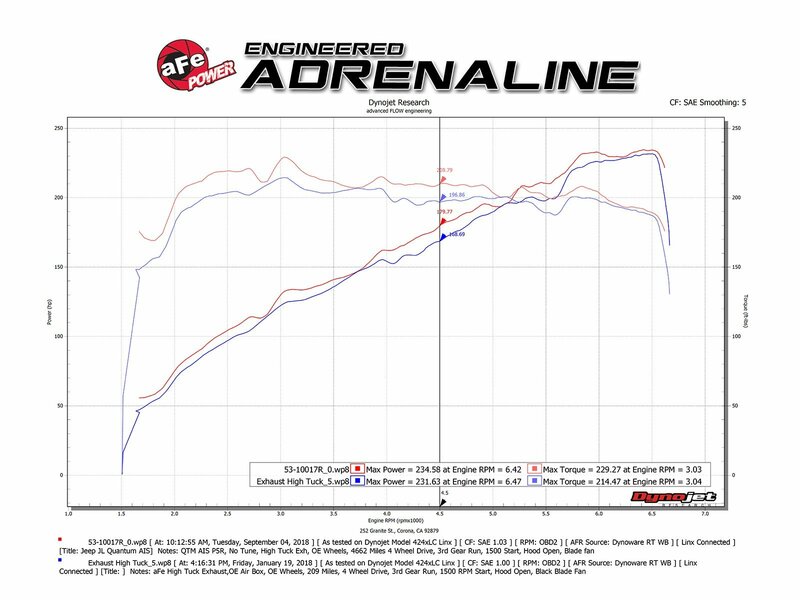 While the Pro Dry S dyno shows gains of +7 Horsepower and +8 lbs x ft torque. Proven results with this simple yet effective filter to housing interface and silicone bellow coupling. Making this a lightweight design with extreme flow and providing ease of installation. Combine this with a high flow exhaust for even better results. 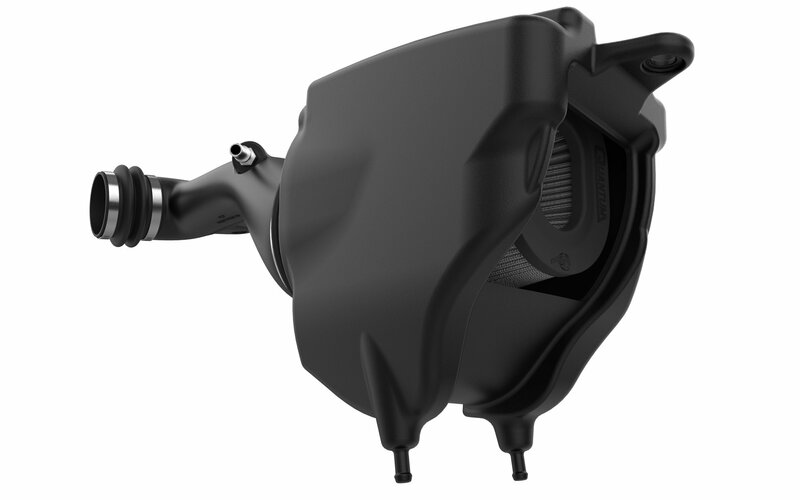 This Quantum system will increase air flow and provide the wanted power you JL deserves. Cleaning kit is available separate. 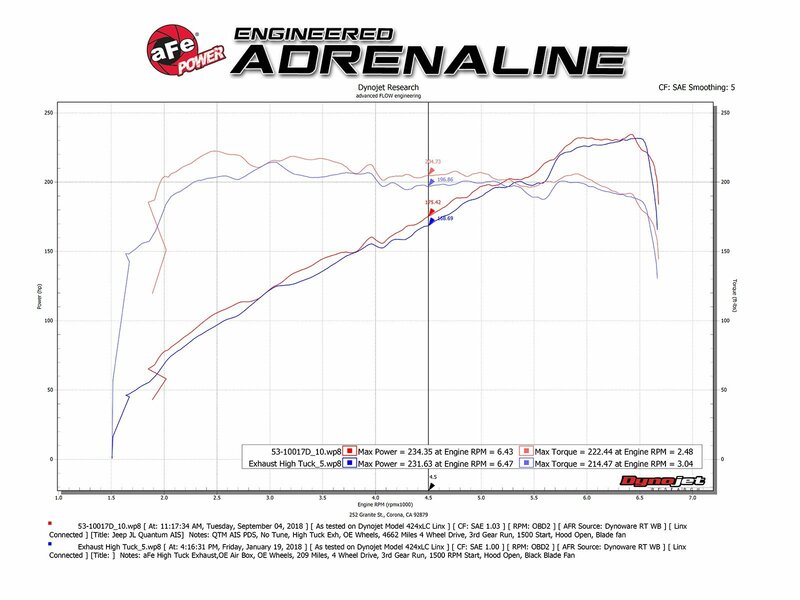 Dyno Tested & Proven: The AFE Quantum Air Intake offers significant gains that the Jeep driver will feel. Engineered specifically for the Jeep Wrangler JL 3.6L engine for the best results. Hammer down with this killer intake. Quick Installation: The filter installs to the housing with four screws while the silicone billows devour engine vibration. 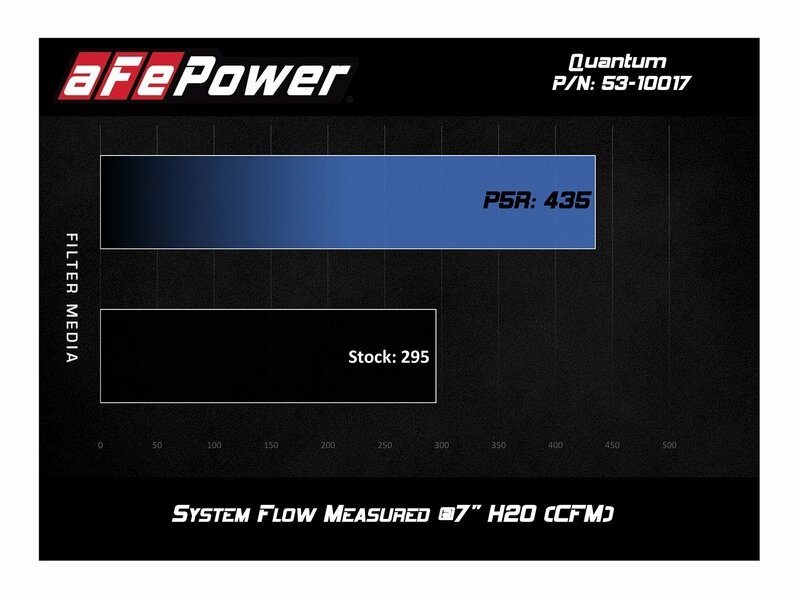 The Quantum filter base features a 3-angle velocity stack for smooth and even air flow. This simple design installs in just minutes to all the factory original positions with no drilling.